OK, so not exactly, but it was well-done and very funny to see that exclusive photograph, especially with how everything was presented. SOG came through with the next iteration of the Terminus series in the Sterminus XR. 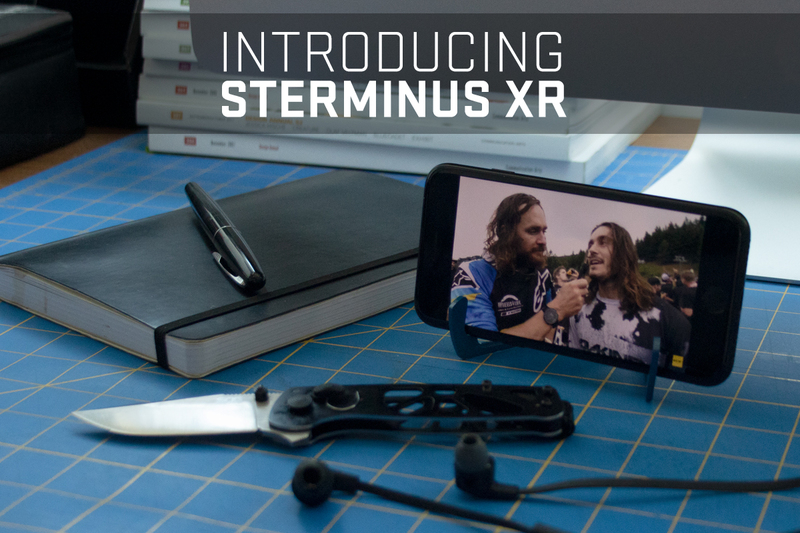 The Sterminus XR is a knife with the bones of the Terminus XR that can come apart at the handle to form a stand for your phone. It’s a neat idea. 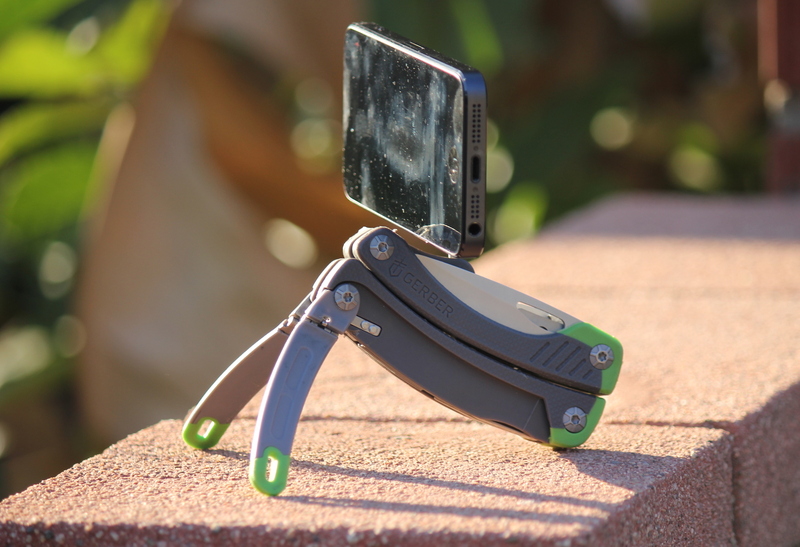 Built on the frame of SOG’s award-winning Terminus XR, the Sterminus XR has removable, customizable handle scales that quickly and easily snap together to make a phone stand designed to fit iPhones and Galaxy phones. The handle scales are available in a wide array of colors and, thanks to input from consumers, each handle scale has several large, easily identifiable SOG logos on them. Wegner had more to say about the new direction SOG is taking with the Sterminus. So maybe the joke is on Gerber. 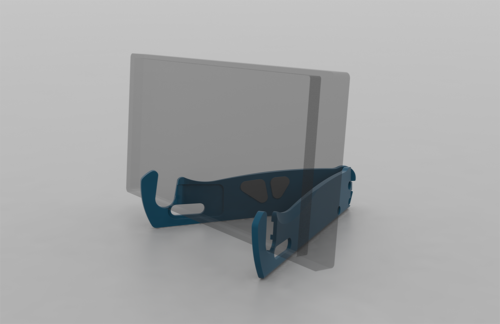 Partnering with a space organization to make a knife is not as far fetched as you might think. I recently wrote about all the knives sent to space that included some collaborations like this. Obviously the Space Force is just a proposed branch of the military, but the culmination of the joke with the Space-Bar was just too good. Blade Show got in on the action too. 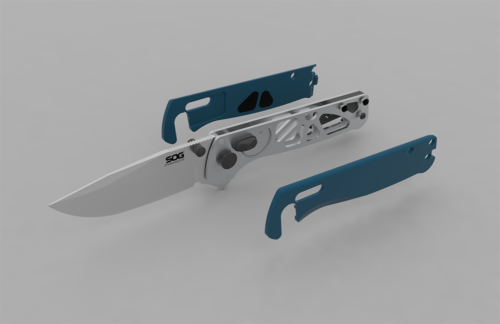 After receiving comments about safety concerns, they announced that all knives presented at the upcoming Blade Show must be dull. 4/1/2019 update: No Sharp Knives at Blade Show 2019. Knife Sharpening classes will be replaced by presentation of new keynote speaker: Sadiq Khan, mayor of London. Lastly, all Blade University Classes will be replaced by Braid University where you can learn about all the latest in hair braiding techniques. This one was just too ridiculous to be believable but it got me to chuckle a bit. Although it seems crazy, Olamic went all out with this. They even created a website and separate Instagram page. The website seems to actually be selling these lures from $50 to $100. If these sell well, I can picture Olamic actually keeping up with it — possibly. What happens if you take the TOPS El Chete and make it even bigger? Spartan Blades apparently collaborated with B&T Industries to make the new Close Quarters Bipod (CQB). OK, so it’s really just two CQB knives used to prop up a barrel. This actually wasn’t too unbelievable. Cold Steel has an FGX series that uses No-Met technology and are made of plastic. There’s the Cold Steel FGX Cat and Cold Steel FGX Chaos. I almost fell for it, except for the fools hashtag in the post. 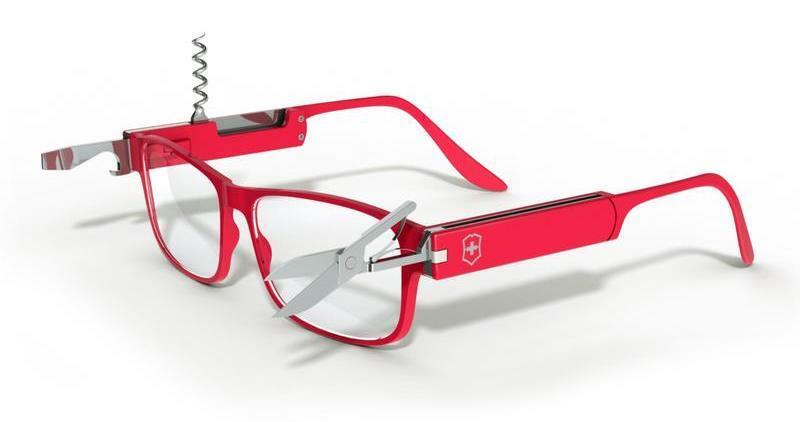 Why the Swiss glasses an April fools joke. Was it because of the price?.I would certainly get myself a pair if they ever decided to manufacture them.Have fun guys.